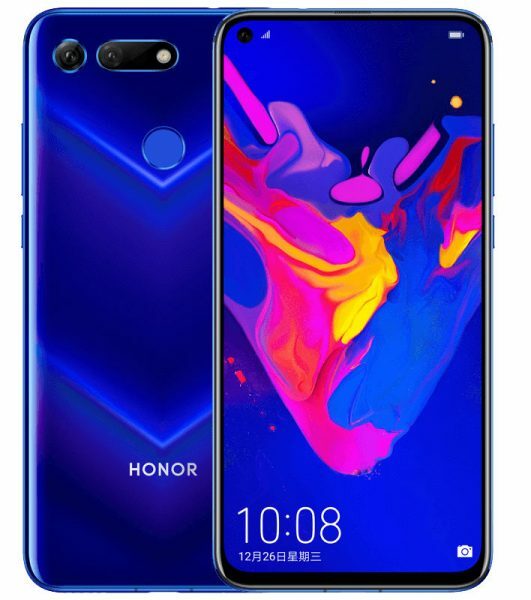 Honor, an e-brand of the Huawei Group, today launched Honor View20 flagship smartphone with eight world’s -first technologies. This phone features 48MP AI rear Camera, All-View Display (World’s first in-screen front camera design), Kirin 980 AI chipset with Dual NPU manufactured by 7nm process, A76-cortex based CPU, Mali-G76 GPU, 1.4Gbps cat21. Modem and SoC Supporting 2133MHz LPDDR4X RAM. On the design front, Honor V20 comes with the punch-hole selfie camera design. Its back panel has a glossy gradient finish and tapered edges. Honor V20 sports a 6.4inch full-HD+ (1080×2310 pixels resolution, 398ppi ) display with an aspect ratio of 19.5:9 aspect ratio and 91.82 percent screen-to-body ratio. It is powered by the latest octa-core HiSilicon Kirin 980 processor combined with 6GB/8GB RAM options and storage options of 128GB/256GB options which cannot be expanded further. It is packed with 4000mAh battery with 22.5W (4.5V-5A) fast charging. This is Dual SIM supporting phone and runs on Android 9.0 Pie with Magic UI 2.0 on the top. It offers connectivity options of Dual 4G VoLTE, Wi-Fi 802.11 a/b/g/n/ac (dual band, 2.4GHz and 5GHz), GPS/ A-GPS, USB Type-C, Bluetooth 5 LE. This phone incorporates Link Turbo technology that allows the phone to switch seamlessly between Wi-Fi or 4G networks and boost downloading speed. For security, this phone has fingerprint sensor on the back. This is the first phone to be armed with a huge 48MP Sony IMX586 sensor. This camera comes with f/1.8 aperture, LED flash, 960fps slow-motion video recording support and AI HDR. It has a secondary 3D Time of Flight (ToF) sensor for capturing the depth. For selfies, this phone is equipped with 25MP front shooter with f/2.0 aperture. This phone comes in Midnight Black and Sapphire Blue colors. It is priced Rs. 37,999 for the 6GB RAM + 128GB variant and Rs. 45,999 for the 8GB RAM + 128GB variant which comes in Phantom Blue color. This phone will be available on Amazon.in starting 12:00 AM on January 30th.